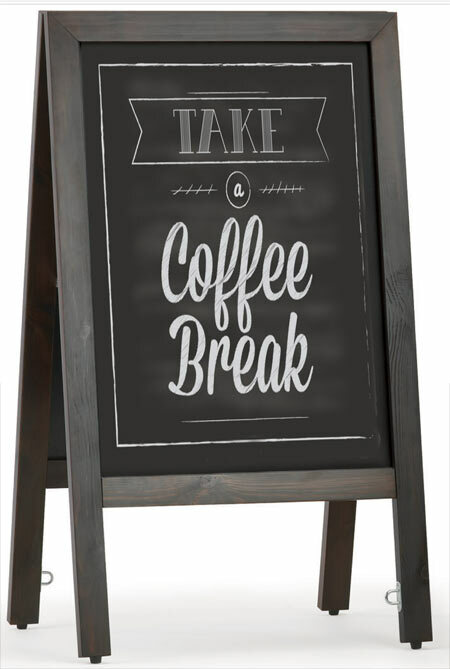 This is basically a good value wooden framed chalk board. The panel for chalk is UV stable, weather resistant and scratch resistant. 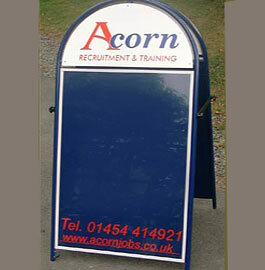 The chalk board also has rubber feet, strong steel locking arm and a steel loop for security fixing. 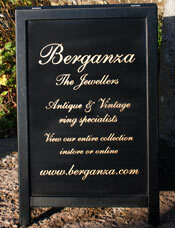 If its a wooden A-board as opposed to a chalk board we can paint the whole A-board. We can then the lettering in any of our stock colours. 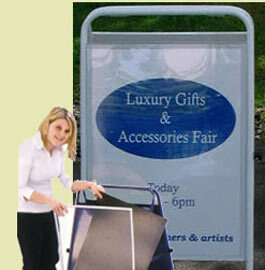 If you need an A-board which reflects the quality service or products you provide this superior wooden pavement sign is a good option. You have the choice of a natural oak frame finished with a tough satin varnish or a painted Accoya wooden frame. Accoya is a modified timber which is more stable and durable than the best tropical hardwoods and ideal for painted signs. For the panel we use a painted tricoya board. Tricoya is a tough, long lasting wood based board. Size 925mm x 600mm. Most of our signs are sent by courier and a signature will be needed. If it helps, we can send the parcel to your works address.